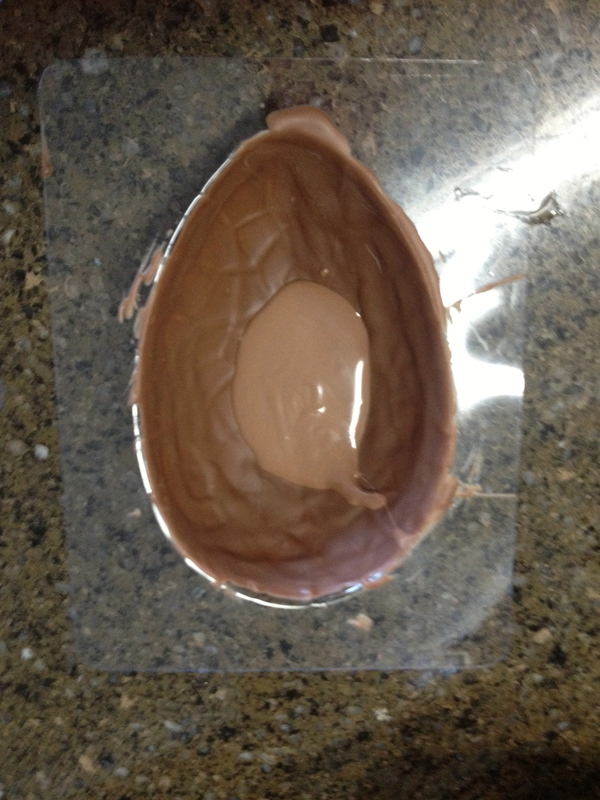 On Monday I started making Easter eggs and today I had to finish the job. They looked great in their moulds. 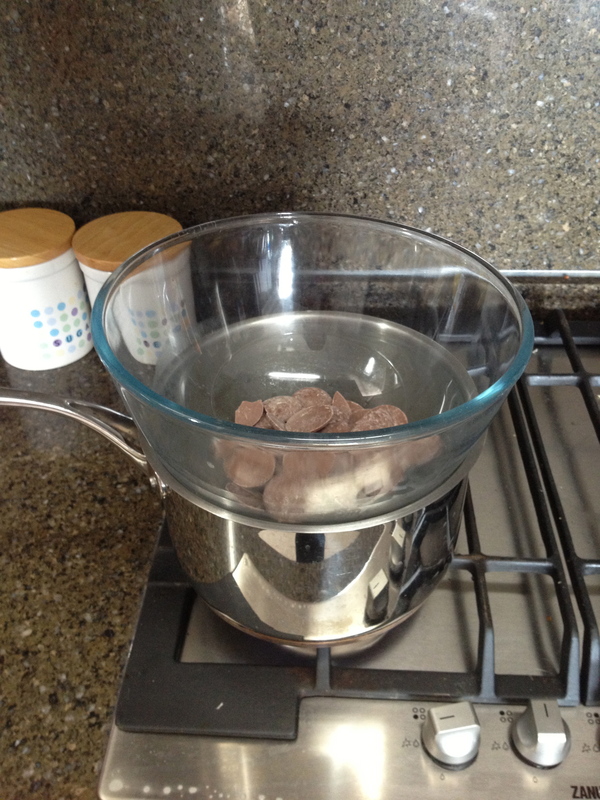 Now for the bit I was most worried about – removing them from the moulds. But it was ridiculously easy, I just turned them upside down and they popped out. Don’t they look cute? 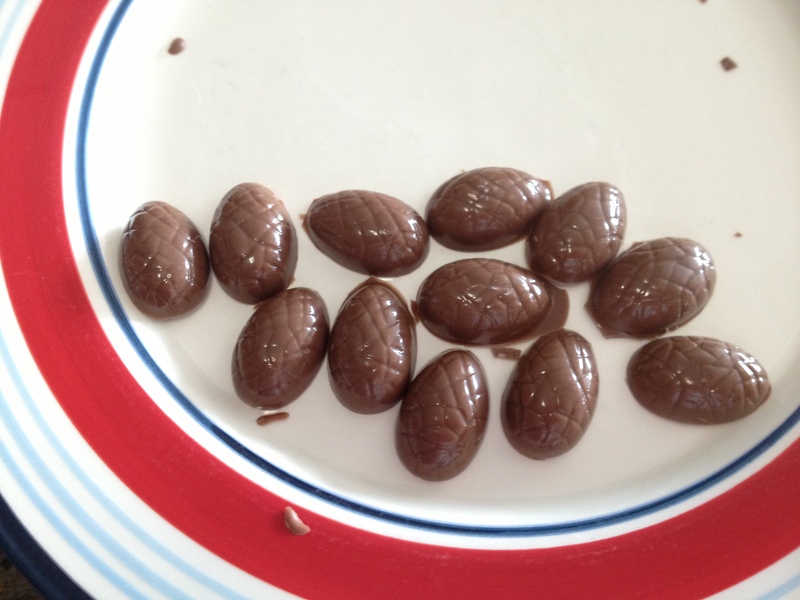 I filled them with some of the solid mini-eggs that I made on Monday. 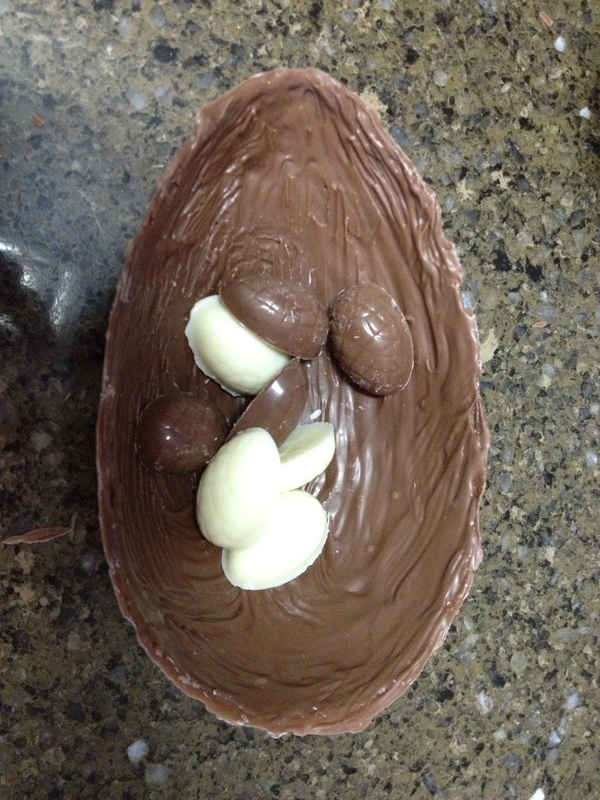 Then I had to stick the two halves together using more melted chocolate. (I only used about a quarter of a packet, so to use the rest tonight we are having strawberries with melted chocolate to dip them in!) This was the hardest part of the whole thing, especially as the two sides didn’t always join up. But success! Presentation skills aren’t my strong point, but I wrapped them up in foil and even added a bow. Whoo. 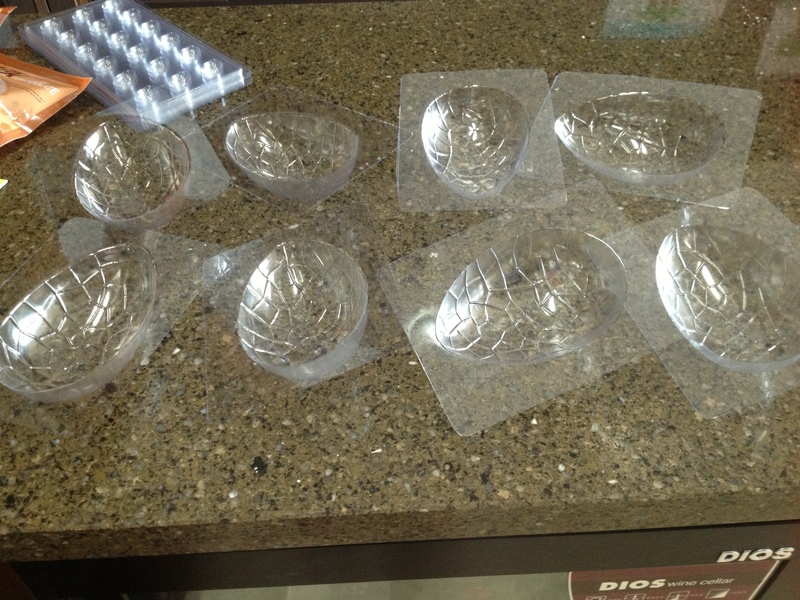 I had been told that in previous years it has been very hard to get chocolate Easter eggs in Ulsan, so I brought some egg moulds from Lakeland (via my mum – thank you!) so I could make my own. 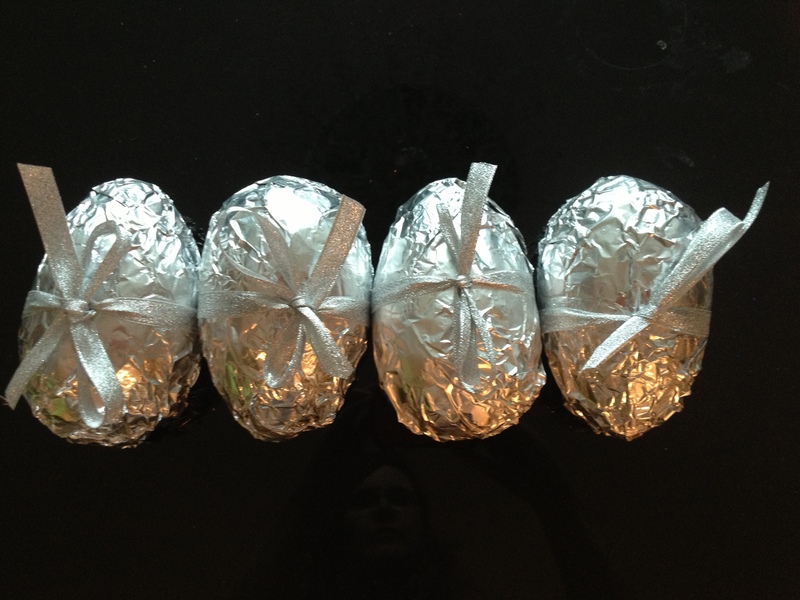 I have since found foil covered chocolate eggs in Costco, but I am still going ahead with the original plan and today was the day to get started. 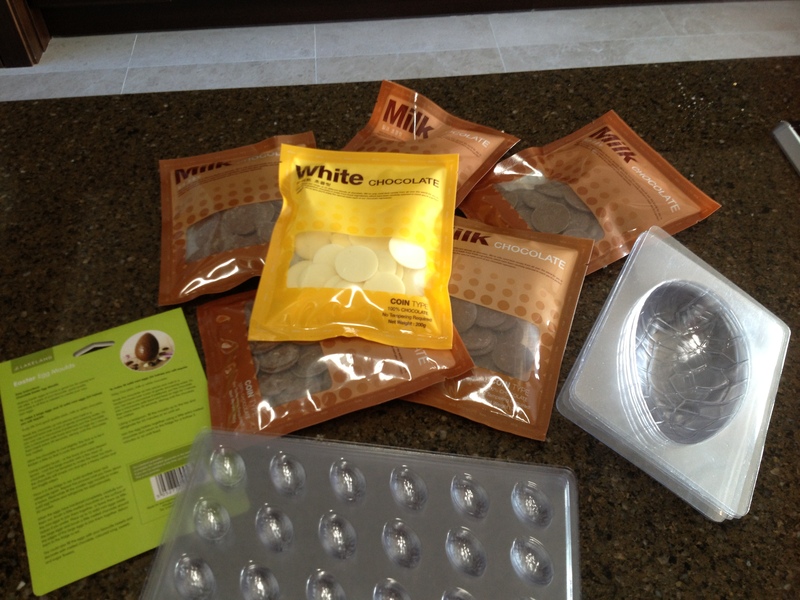 I have all my supplies and I’m good to go – the instructions call for good quality chocolate, but that isn’t an option so I brought these giant chocolate buttons from Guam stationary shop (before valentine’s day there were make you own chocolate kits everywhere). They are already tempered, so I don’t have to faff around with that. First job was to melt the chocolate. The packets are 200g each so I just melted one at a time, which filled all the eggs moulds and gave me a sheet of little eggs as well. 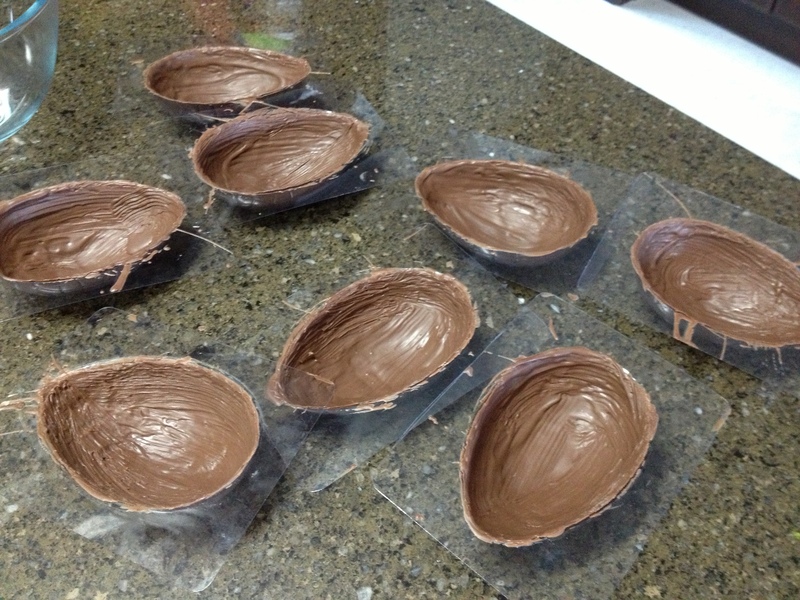 These are the empty moulds all ready and waiting for the chocolate. 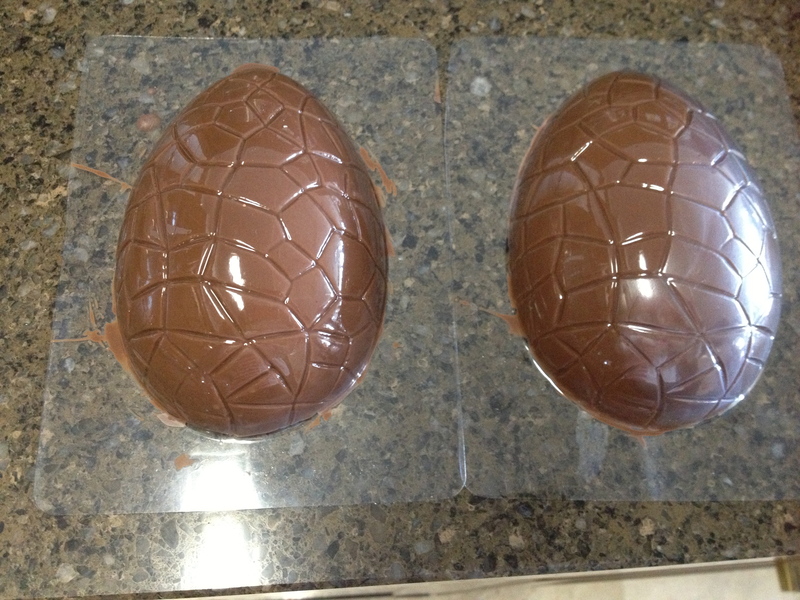 I brought two set of the easter egg moulds – which was a happy mistake – I thought each set had 2 half moulds but turns out it had 4 halves to make 2 complete eggs. I’m happy with this, we are a family of four so we will all get an egg now! 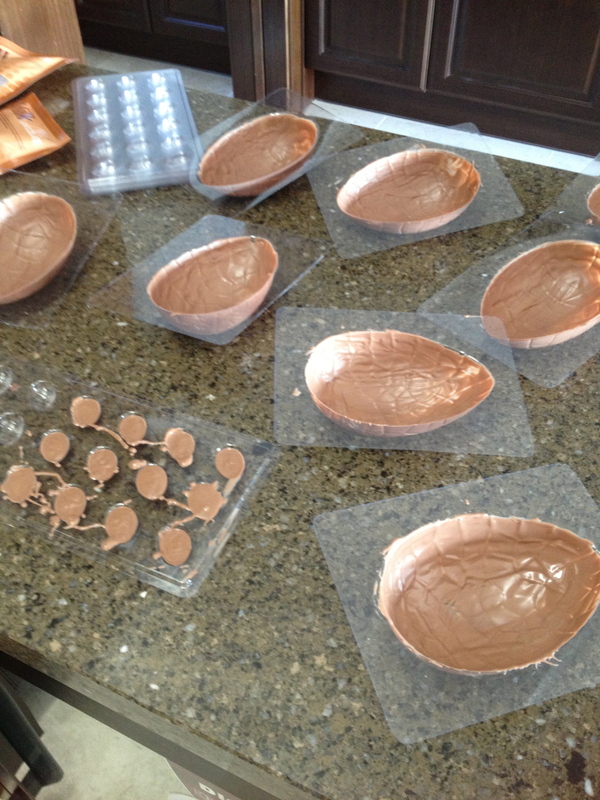 I used a 15ml spoon of melted chocolate for each egg half, and spread it around the mould using a silicone pastry brush, this was a lot easier than I anticipated. 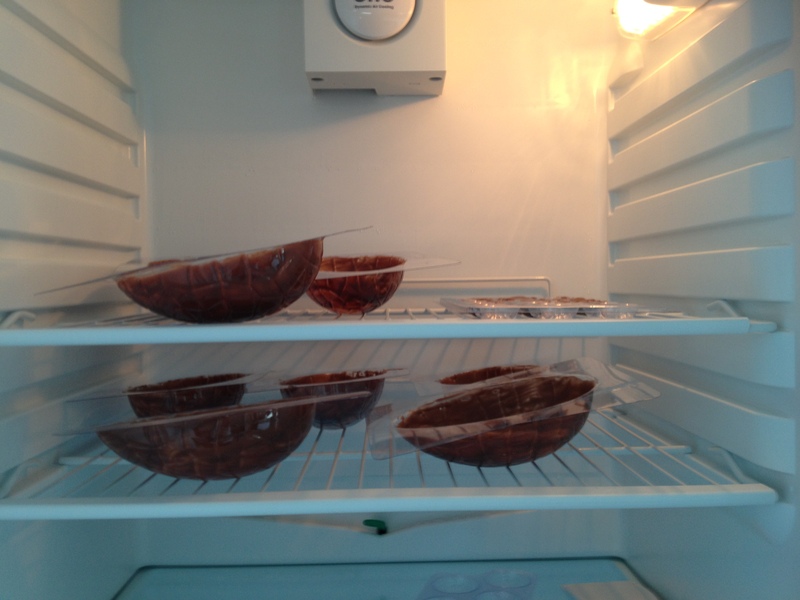 Then they needed to go into the fridge for about twenty minutes to set. Then repeat another three times! 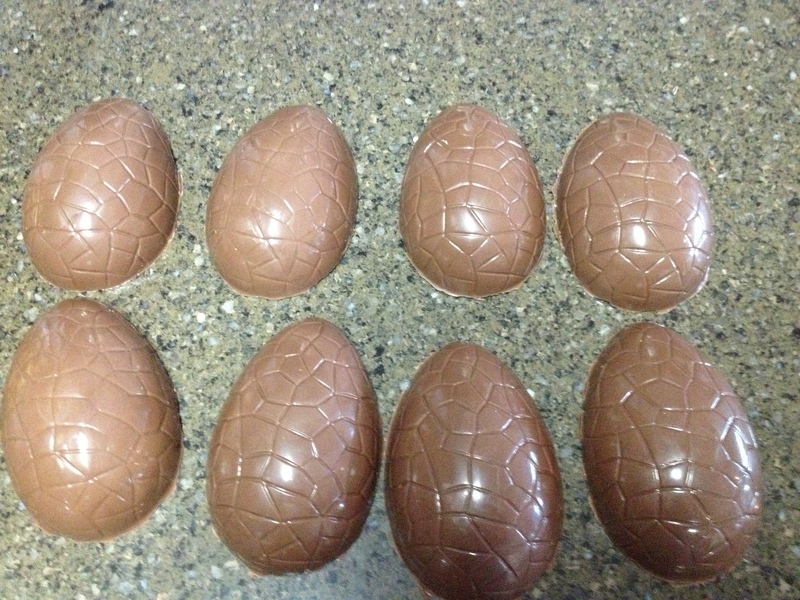 This is my first set of mini eggs, very pleased with how they came out. 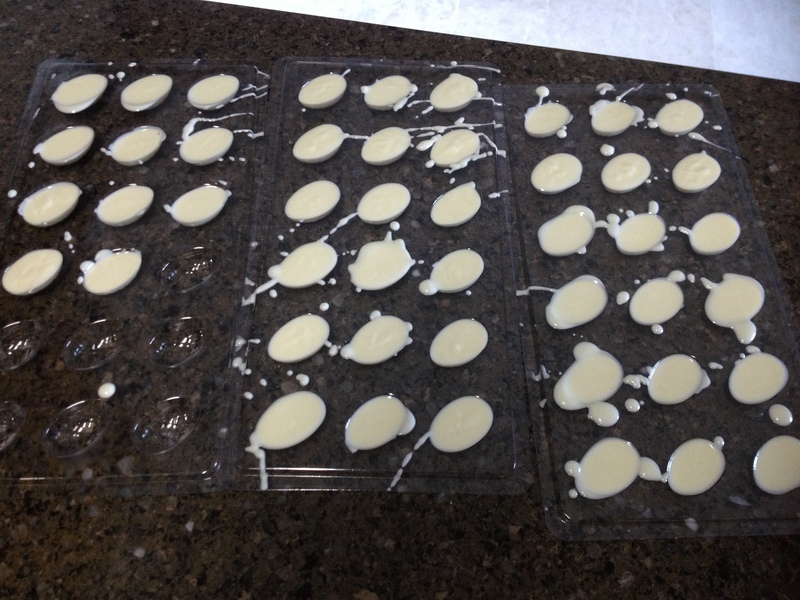 Right at the end I made a few trays up with white chocolate as well. 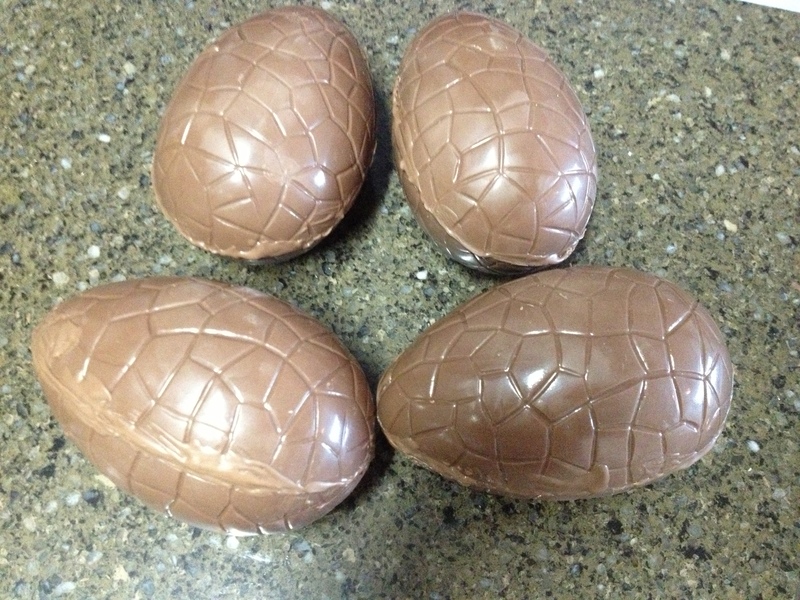 I will put a handful of these inside the eggs. Now I just need to leave them overnight in the fridge and tomorrow I can take them out of the moulds (eeek) and then use some more melted chocolate to seal the two halves together.